The microbiology research laboratory for the Medical Center of University of Groningen has strictly controlled research labs where the slightest suggestion of daylight is prohibited. Two conical voids at the building's centre allow daylight into the circulation areas. 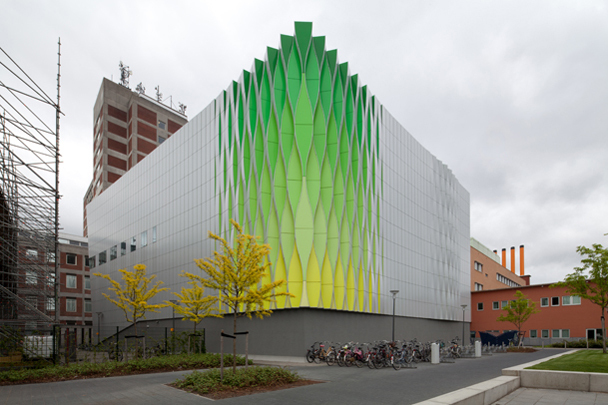 The hermetic facades sport an undulating pattern of 60-centimetre aluminium strips. Shifts in these undulations, variations in amplitude and a gradual tilt in the folds to almost 45 degrees add up to a hallucinatory pattern.